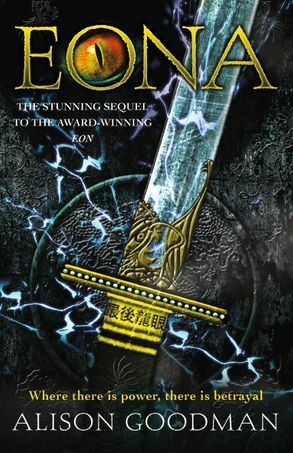 Once she was Eon, a girl disguised as a boy, risking her life for the chance to become a Dragoneye apprentice. Now she is Eona, thrust into the role of her country's saviour. But Eona has an even more dangerous secret - she cannot control her power. When she tries to bond with her Mirror Dragon, the anguish of the ten spirit beasts whose Dragoneyes were murdered surges through her. the result: a killing force that destroys everything before it. On the run from High Lord Sethon's army, Eona and her friends must help the Pearl Emperor, Kygo, wrest back his throne. Everyone is relying on Eona's power. Can she face her own darkness within, and drive a desperate bargain with an old enemy? A wrong move could obliterate them all. Against a thrilling backdrop of explosive combat, ruthless power struggles and exotic lore, Eona is the gripping story of a remarkable warrior who must find the strength to walk a deadly line between truth and justice.